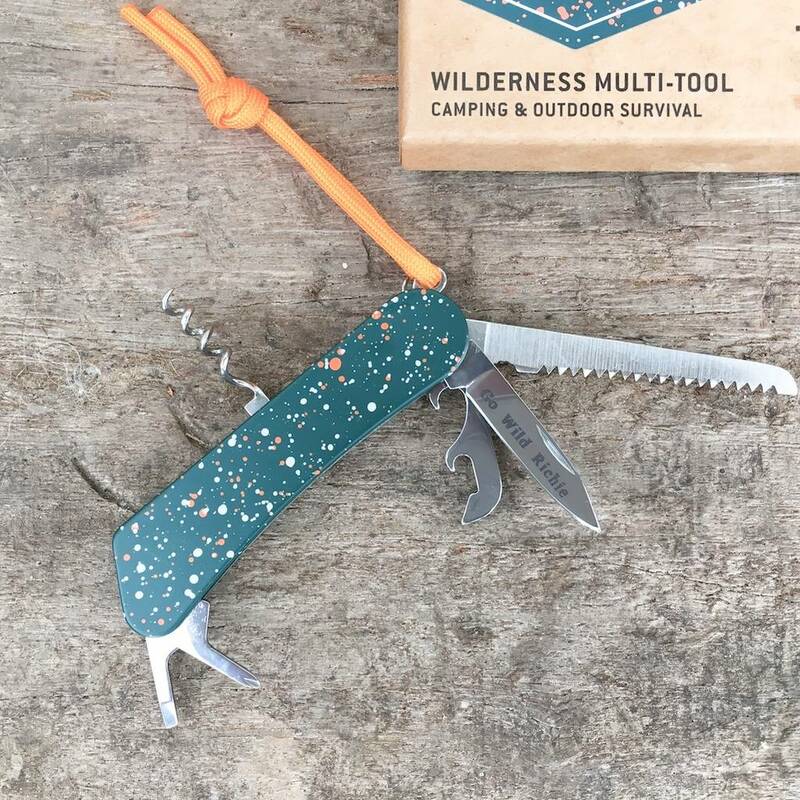 Go confidently into the wild with the Wilderness Multi-Tool by Gentlemen's Hardware. 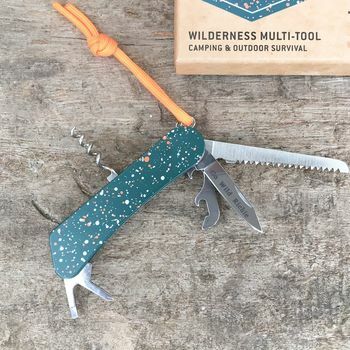 Designed for camping trips and forays into outdoor survival, this is an essential bit of kit for explorers, wanderers and lovers of the great outdoors. 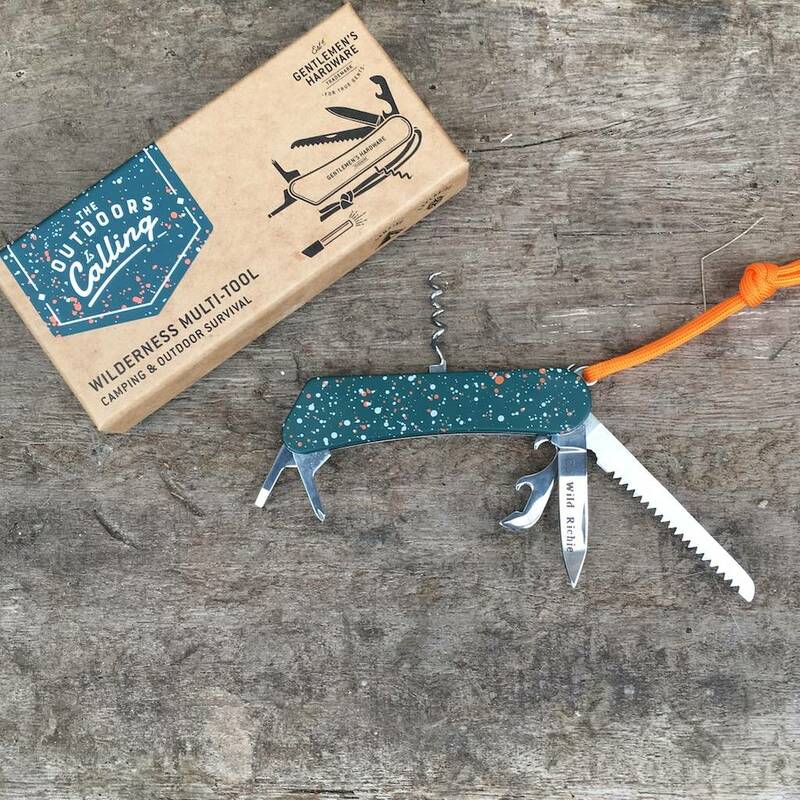 The stainless steel tools held within the compact handle include a knife blade, a saw, a tin/bottle opener, a corkscrew, a flat-head screwdriver, a Phillips screwdriver and a removable flint rod. We can personalise the blade with a name or short message.